I remember seeing a photo some time ago of a person in an area with a fence going all around it. The person in the fenced area did not want to be there because he thought that he was being restricted and caged in. So over the fence he jumped, only to realize that he was on a plateau. For our family, setting boundaries is not about restraint. Setting boundaries is about protection, much like in the analogy of the fenced plateau. When I was younger, I remember that we had chickens at some point. My earliest memory of holding a chicken was how I could feel all the bones and I was so scared to hold it too tight that I might break it’s bones. And so I did not hold it tight enough and it got away. Parenting sometime can be a lot like holding a chicken. You don’t want to hurt your children so you try not to squeeze them too hard. Yet you don’t want to be too lax and let them get away and get out of control. As I think about setting boundaries versus stifling my children’s individuality these two analogies stay with me- how do I set boundaries that offer protection to my children, while still remembering to honor and foster their individuality? How do I hold them without breaking them? And so combining those two analogies, how I go about parenting my children is looking at it like if they are flightless birds on a high pearch. The boundaries around them offer them protection, but at the same time, they need an opportunity to develop their wings so that they will learn to fly. If they don’t ever get an opportunity to flap their wings they would not be able to develop enough so that they can safely take flight. Right now my children are young. I give them responsibility according to their ages. These include giving them an opportunity to do things like choose their clothes, choose which books to read, decide what to eat from limited choices, what type of music to listen to during the day. My older child has a bit more responsibility. An example of this is that instead of laying out a set of options like I do for my daughter, I allow him to choose his clothes completely for most occasions. If it were up to him he would wear red shirts every where, with the exception of the polo shirts he likes to wear to church! As they get older, they will be given more responsibility based on their ages, but also on their maturity. Communication does not always mean having a discussion. Sometimes some things are just not up for discussion. I try to let my children know what is going on, with as much detail as they can know. I also discuss with them my expectations and feelings in ways that they can understand. But communication is not one-sided and I listen to their feelings, hurts, opinions and desires as well. I allow my children to express themselves but tell them they must do it in a respectful way. For us this consists of using their words and not hitting, screaming, whining, shouting. This is a work in progress and at times it seems like a very long road to get them to learn the correct ways to express themselves. But we are working at it none the less. Setting up boundaries involves being firm, especially if you have children with strong personalities like I do. Like I mentioned earlier, some things are just not up for discussion, so we don’t discuss. When a decision has been made I stick to it no matter how much my children try to get me to change my mind- and believe me do they try! In the end I want my children to be guided into the right path but I want them to be able to choose for themselves. 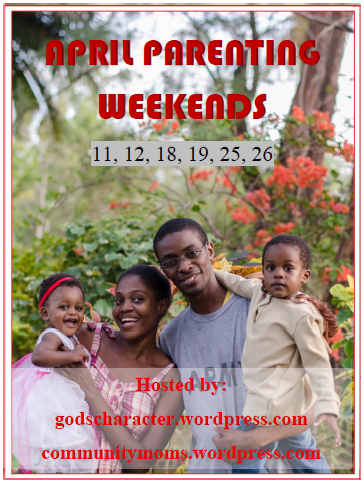 I want my children to be strong personalities for God- children who cannot be bought or sold. As parents we need to set boundaries to keep our children safe ns help guide them. In setting those boundaries we have to be careful to do it in a way that we don’t suppress our children’s individuality. We have to hold them but not squeeze them. May 2015: Helping Children Build A Strong Sense Of Self Worth Everyone is special and precious. Our worth does not depend on what we have, how we look or where we live. Share how can we teach our children that their worth is infinite! June 2015: Discipline- How to Remain Calm Amidst the Chaos Overwhelmed. Tired. Frustrated. Screaming. Tantrum. How on earth do parents maintain their sense of calm when disciplining their children amid all the chaos of life?